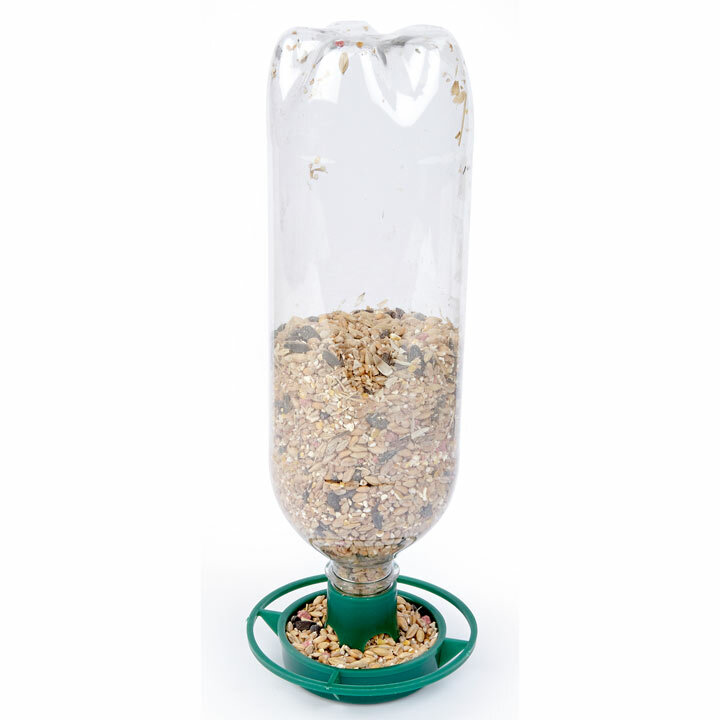 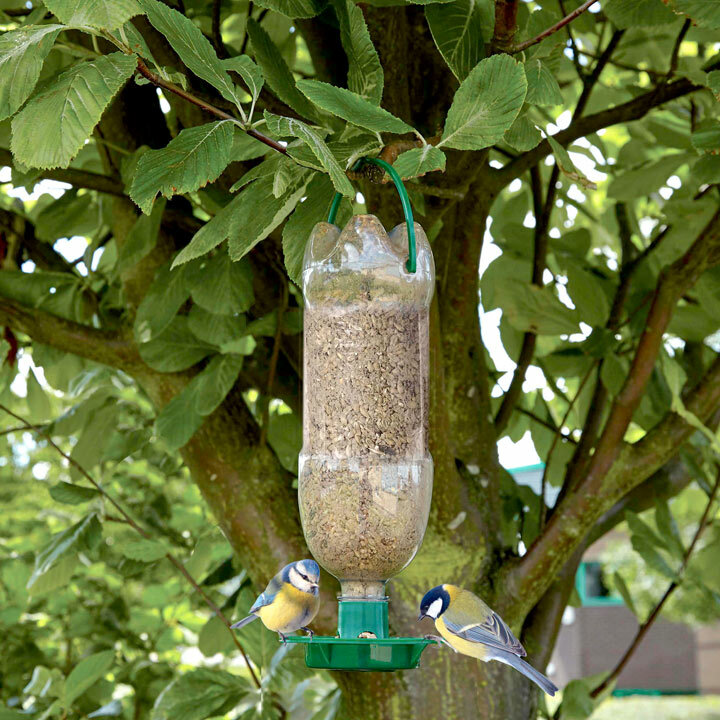 This bird feeder kit turns empty plastic bottles into wild bird feeders helping the environment and the wildlife. The kit fits most bottle types and is easy to assemble. 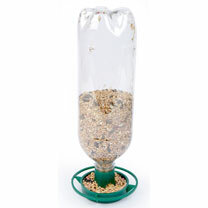 Detach hanger from the feeder before use and make two small holes in the bottle (not included) and insert hanger ends. 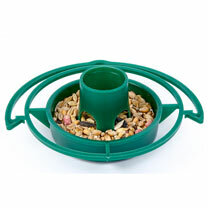 Fill the bottle with seed and twist on the feeder tray. 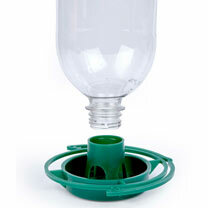 Remove the bottom plug for easy re-filling.